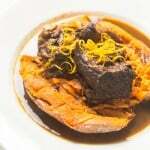 Slow cooker Moroccan braised short ribs, cooked in an orange cinnamon sauce, served over a baked sweet potato. Paleo, Whole30, gluten free, low carb, dairy free and more delicious than words can describe! This. This is my favorite thing I have ever cooked. I wish you could smell this. But since you can’t smell it, allow me to describe it to you. The most tender, flavorful short ribs. Braised in a slow cooker in a Moroccan inspired sauce with orange zest, orange juice, cinnamon, balsamic vinegar, mirepoix, and chicken stock. Served over a baked sweet potato. Warm. Beefy. Citrusy. Sweet. Amazing. I recently watched the movie The Hundred Foot Journey, which I *loved*, and it really inspired me to try cooking with different flavors and spices. Soon, these Moroccan Braised Short Ribs were born. It was exciting to play around with exotic flavor combinations I wouldn’t normally use. But these put my normal red wine braised short ribs to shame. 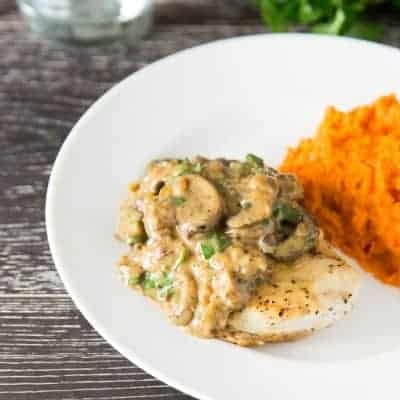 The flavor is so wonderful, you would never guess that this recipe is also very healthy! It’s made with only whole ingredients. It’s paleo, Whole30, gluten free, low carb and dairy free. Good for the taste buds, and good for your health. I’ve always been a big fan of short ribs. They have such a deep, tender flavor, and make the most delicious sauce. Short ribs are also one of my favorite meals to cook for a dinner party. You can start cooking them earlier in the day, and get all of the prep work done long before your guests arrive. These can even be made up to 3 days in advance (see Notes in the recipe below). When it comes time to serve them up, just scoop them out of the slow cooker and they’re ready to go. No need to slave away in the kitchen leading up to dinner. This recipe will allow you to enjoy your whole dinner party. Plus, your home will be filled with the most amazing aroma that will have your friends weak in the knees. This is definitely the longest recipe video and recipe I have posted to date. But don’t be intimidated! It is really quite simple. Just a few simple steps in the beginning, then it cooks away all day long. There are a few kitchen essentials I used in the recipe video that will make this recipe a breeze. I love my slow cooker. Easy to understand and program. Also, the perfect size for this recipe. To brown the meat and soften the veggies I use my beloved 6 qt. dutch oven. The heavy cast iron will make browning a breeze. I can yet justify paying hundreds of dollars for the Le Crueset brand, and am very happy with my Lodge brand. Great product for the price. I use it for all the soups and stews I cook, and to brown meats I braise. To get all of the fat out of the sauce, you must get this fat separator. It makes it so easy! I use this fat separator for all braised meat sauces, and to make pan sauce or gravy when I roast a chicken or turkey. Much easier than the old spoon-off-the-top method. This is the dinner I will be making for Shawn this Valentine’s Day. 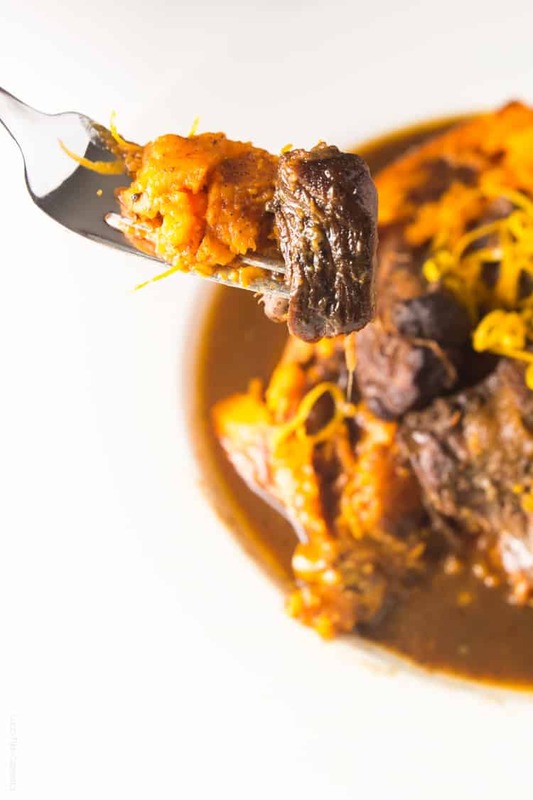 Nothing says “I Love You” more than tender braised meat that has been cooking all day. It is the way to your mans heart. You should make this for your sweetie too. Heat a dutch oven (or large soup pot) over medium high heat for 2 minutes. While it is heating up, salt the short ribs generously on all sides. Add the olive oil, and cook the short ribs 3 minutes per side on all sides until golden brown. Do not overcrowd the pan. If necessary, cook the short ribs in batches. Transfer short ribs to the slow cooker after browned, with the meat side down, bone side up. In the same dutch oven in the remaining oil/fat, add the vegetables and cook for 5-8 minutes, until they begin to soften. Add the tomato paste, cook for 1 more minute. Add the orange zest and orange juice. Scrape the bottom of the pan until there are no more brown bits. Add the chicken stock, balsamic vinegar, cinnamon and bay leaf. Stir to combine. Transfer cooking liquid to the slow cooker. Gently move the short ribs to make sure the cooking liquid gets under the short ribs. Cover and cook on low for at least 8 hours, or high for at least 4 hours. After the short ribs have cooked, reduce the cooking sauce. 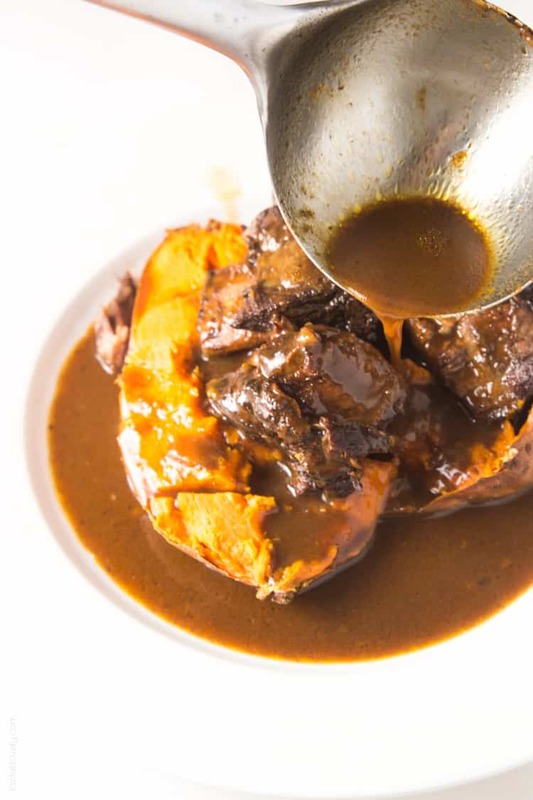 Gently remove the short ribs from the slow cooker. They will be very tender, and may fall off the bone. This is OK. I also like to pinch off any large pieces of fat that didn’t render off the short ribs using tongs. Discard any fat. Once all the short ribs are removed, strain the sauce to remove all the vegetables. Discard the cooked vegetables. Transfer the cooking liquid to a fat separator, and allow to sit for 5 minutes. You should have about 4 cups of sauce. Transfer the short ribs back to the slow cooker and cover. Boil the sauce for about 8 minutes, until it has reduced by half, to about 2 cups. Pour the reduced sauce back in the stock pot over the short ribs. Continue to cook over low until ready to serve, about 1 hour. One hour before serving, bake the sweet potatoes. Preheat your oven to 350 degrees with the rack in the middle. Rub the sweet potatoes with olive oil, and salt the skin generously. Bake on a baking sheet for 1 hour, until very soft. To serve, split the sweet potatoes in half, and sprinkle the inside with a pinch of salt. 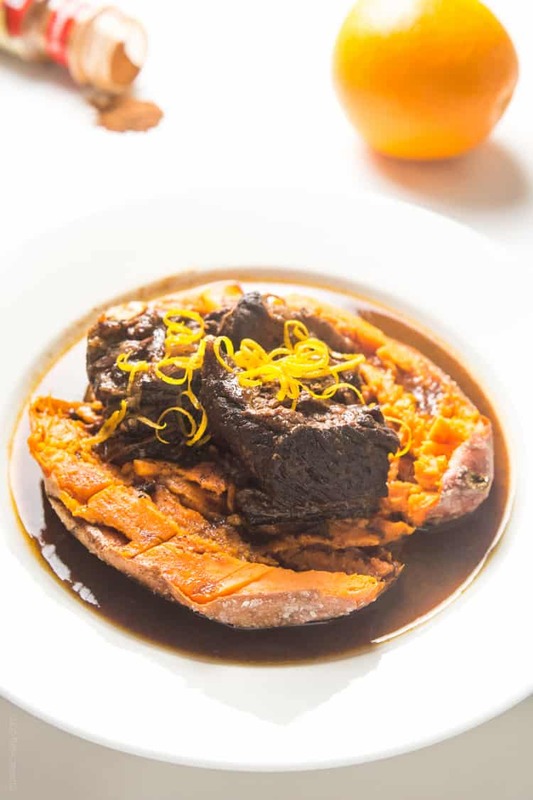 Divide the short ribs on top of the sweet potatoes, drizzle with sauce, and garnish with orange zest. 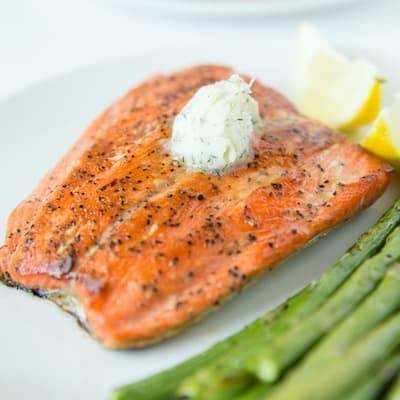 -This recipe can very easily be doubled or tripled. I serve 2 short ribs per person. -This recipe can be made ahead of time, up to 3 days in advance. After step 4, instead of transferring the short ribs back to the slow cooker, transfer them to an airtight container and refrigerate. Transfer all of the cooking liquid to a separate airtight container and refrigerate. When ready to reheat, scrape all the fat from the top of the cold cooking liquid, then continue with step 6. Reheat the short ribs in a slow cooker with the reduced sauce for 1 hour on high, or 2 hours on low. I wish I could smell (and taste) this right now, Natalie! These short ribs look incredible! I use my slow cooker a lot, but have never made short ribs in it. And that orange cinnamon sauce sounds amazing! What a great combination, especially with the sweet potato. Definitely trying this one out! Thanks Kathy! Boys love this. Nothing like tender slow cooked meet to make a guy smile. And your house smells just amazing. Your tummy will be growling all day waiting for it to be ready. Oh goodness! Now you’ve got me wanting dinner already. Girl, these look SO good! Thanks Melanie! It is simply amazing! I love short ribs and my fiancé was just saying we need to make them soon. I love the idea of moroccan flavors and serving it over a sweet potato – yum! What a great comforting winter meal and healthy too! My mom recently picked up a dutch oven (not sure of the brand) for about $30 and it’s just as heavy and nice as my Le Crueset (which she bought me years ago as a Christmas gift)! 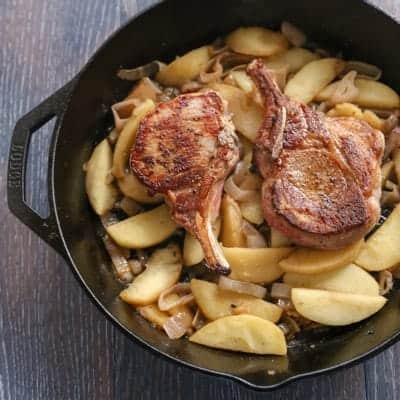 So, I think it’s safe to say you don’t need spend hundreds of dollars for a great dutch oven! Oh, you must make this for your finace Keri! He will propose to you all over again! I wonder if you have the Lodge cast iron? Dutch ovens are definitely something you can go generic with. I know if I did Le Crueset I would drop and break it for sure. OMG. I need these. Ask anyone in my family what my favorite food is, and it’s short ribs. My favorite restaurant in San Diego is my favorite only for their incredible short ribs…soooo good. Yours look so soo good, and I love that they’re totally guilt free. I rarely make them myself because I’m impatient, but I need to try these. And those Moroccan spices! I was in Morocco last April and fell in love with all the flavors they use. Pinned! I love short ribs too! They’re just SO GOOD! Can’t beat the tender, long simmer flavor. I usually make red wine braised short ribs, but this version I like even better. Such a great flavor combination! And having major travel envy that you have been to Morocco! Amazing! Definitely lip smacking good Renee! The sauce is just heavenly. Hope you love them when you make them! I wish I had this for dinner tonight! That meat, the sauce, and the potatoes all look amazing. The flavor combination is incredible. I love easy meals like this! It sounds amazing! Love the citrus in there! Oh my gosh, I love short ribs! And these pictures are to die for. Delicious! I’m ashamed to say I’ve never had short ribs or orange sauce with beef. This needs to change right now and this is the perfect recipe for it, as it looks absolutely divine! I’m also a huge fan of slow cookers, as I can come home to a fantastic smelling apartment and not have to worry about cooking dinner! Olivia! You must make short ribs! They’re so tasty and easy to make. Hope you like this version if you make it! Wow! Just wow!! This looks amazing! There are so many flavors in this that I never use. I certainly need to branch out! :) I can’t wait to try this! Spaghetti isn’t so bad! But this dinner is great for when you’re really trying to be fancy. I just love the flavors. Hope you like it if you try it Danielle! Aren’t short ribs just life changing? So juicy and tender. It’s what I like to call “no knife meat”. All you need is a fork : ) And I think Ben would like the movie! It was really good! Or the movie Chef, with Jon Favreau. Loved that one too. This is amazing. I’m drooling. 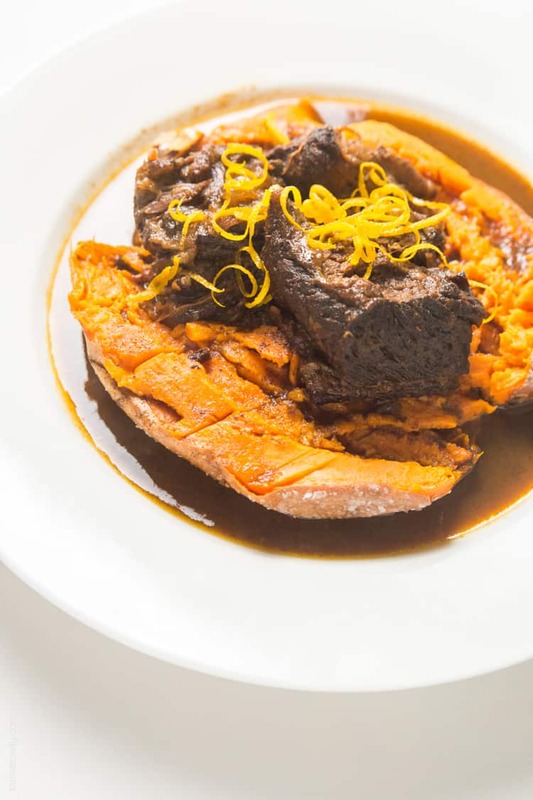 Serving short ribs over a sweet potato is just genius. Pinned and I can’t wait to make this! Thanks Liz! I’m drooling right there with you. I just loved this dinner. Hope you love it to when you make it! I am TOTALLY making this! The way you describe the flavors is making my stomach grumble. I don’t use Moroccan spices nearly enough, and these tender short ribs look to die for! You must make it Sarah, it is seriously so good! Your favorite thing you’ve EVER cooked?! Wow!! I definitely need to try this then. I love the flavors– sweet potato and citrus are so great together. And my hubby is a huge meat fan (and I definitely don’t cook beef often enough) so I know he’d love this!! This looks amazing! If I wanted to cook this all in the dutch oven, how long would you recommend cooking it for and at what temp? Thanks, can’t wait to try this. Hi Cristine! I haven’t cooked this in a dutch oven, but if I were, I would cook it at 250 degrees for 3-4 hours. I would check at 3 hours to see how the meat is doing. It may take longer though. If I try it, I’ll let you know how it went! 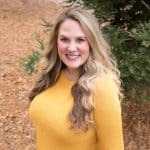 To me, the idea of using a crock pot is the EASE of it. This recipe sounds good, but the numbers of steps in preparing it is ridiculous! I want to put everything in the crock pot, wait, then eat. This is too time consuming. Thanks for reading Judi! Hope you find something you like. Hugs! Hi! How do I do this without a dutch oven but a i have a slow cooker? Or better yet in 3 hours ?